Because the comment was unrelated to the post at hand, I moved it to the trash. But his prodding stuck with me because what he said was true: I lobbied hard for council and voter approval of a new airport, and I haven’t written about it in several months, despite a series of mostly troubling developments. That’s a 70 percent jump. SEVENTY PERCENT! Here, then, are my main thoughts, which I’ll explain individually. :: This has all the appearances of a bait-and-switch deal. :: Nevertheless, because of the path Mayor Sly James and the rest of the City Council chose to go, there’s very little we, the public, can do at this point. Our hands are tied, and the Council has limited flexibility. :: My biggest concern now is not cost, which is largely out of our control, but what the airport is going to look like and how it will function. Again because of the path the Council embarked on, we and the Council will have limited input into design and functionality. Let’s take a closer look at each of those points. As we all know, it took several years for the single-terminal idea to come into focus. Because they will pay for it, the airlines were intimately involved from the outset. That means there was no shortage of planning time. 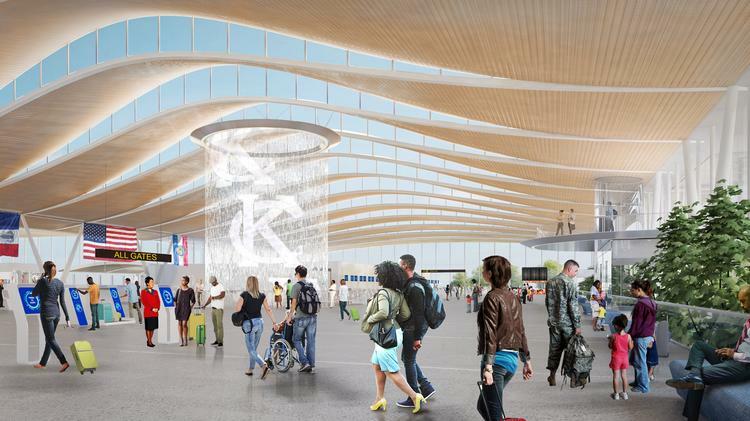 The original plan called for 35 gates, four more than the city currently leases to airlines at KCI. At the time, 35 struck some people as surprisingly low. Passenger traffic has been going up steadily for years, the metro area continues to grow, and people have grown accustomed to paying the much higher fares that have come with airline deregulation. It wasn’t until April, five months after voters overwhelmingly approved construction of a new airport, that the airlines came forward and said, oh, we miscalculated…traffic has been going up faster than we realized and we need more gates. Now it’s up to 39, with the ability to expand to 42. You don’t have to be Ebenezer Scrooge to scoff at the assertion that the “original assumptions” changed within a couple of months. The hard-to-avoid suspicion is that some city officials and the major airlines floated a very conservative number to induce a “yes” vote from the public. If that was the intention, it worked. But it has cost the city, Edgemoor and the airlines a lot of credibility. I don’t know how they go about regaining significant credibility at this point, but it would certainly help if the three parties were to resolve the current problems in short order and get the show on the road. I have said from the beginning — and I testified to this effect before the City Council’s Aviation Committee in 2017, well before the public vote — that the city should have gone about this process the tried-and-true way. 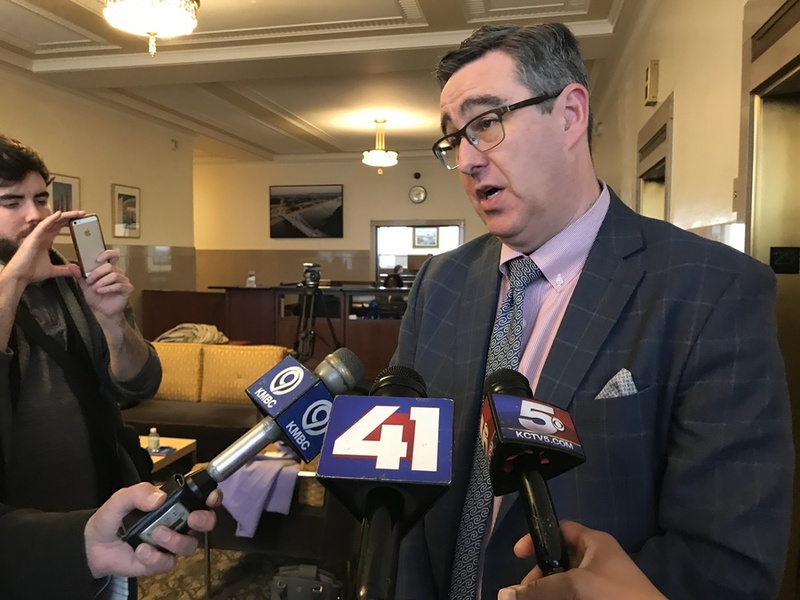 That is, the city should have solicited proposals for a comprehensive design, approved a design and then advertised for construction bids based on the design. That way the city — the owner of the airport — would have been clearly and unequivocally in charge of the project. Not to mention that the public would know what the hell the building would look like! But, no. Desperate to get off dead center, Sly and two other council members — Jolie Justus and Mayor Pro Tem Scott Wagner (both of whom are mayoral candidates now) — jumped at a seductive but overpriced proposal from local company Burns & McDonnell to build the airport on a no-bid contract. From there, The Star’s editorial board pushed hard to allow other companies to submit proposals, and that’s what happened. What the editorial board should have done, however, was call for the Council to throw up the stop sign and go back and adopt the traditional design-first, build-second process. This flawed process is now so far down the line it’s almost impossible to reel it back. And it’s a mess. So far, Sly has not been able or willing to exert sufficient pressure to push the airlines to hammer out a deal. 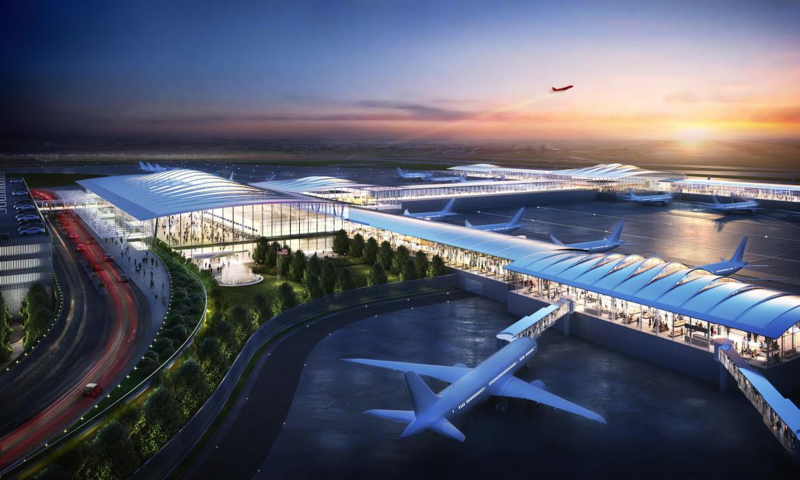 Even more problematic, once the airlines decide how to apportion expenses among themselves and the start of construction nears, the balance of power will shift to Edgemoor. Because the city threw the project out to contractors like a piece of red meat, Edgemoor essentially will be able to dictate construction terms and run the tab up for the inevitable “change orders” that accompany all major construction projects. 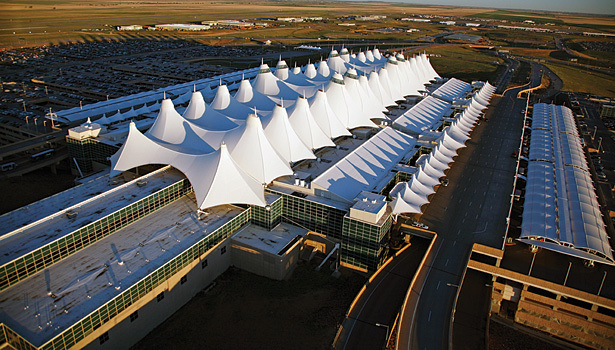 Never did I expect anything as singular and spectacular as the white “tents” — mimicking snow-capped peaks — above the terminal at Denver International Airport. But with the backassward way the city has gone about this, I’m just hoping we will end up with something that isn’t visually awful. Instead of being the first consideration, design is bringing up the rear. Edgemoor’s primary consideration will be budget. It won’t be building to a city-specified design; it’ll be building to an agreed-upon price. That means the design will probably be pretty simplistic. I’ll be extremely surprised if it’s anything above plain-jane-mundane. I hope it will be at least functional, with plenty of natural light. The gist of all this is that Edgemoor managing partner Geoff Stricker is in the cockpit, and the rest of us — including the City Council, the Aviation Department and the airlines — are along for the ride. Keep your seatbelts fastened, everybody; it’s going to be a long ride, with lots of turbulence. WOW!!! A very different response than I had expected. Thought you would be beating your chest with happiness. I have a long response to your blog…way too long for here, but I will put it in an e-mail to you. You can reprint some, all, or none of it at your discretion. One thing for sure, I have learned that an airport is a very complex facility serving many masters. Don’t get me wrong…I’m still thrilled in that I fully expect us to get a new airport, at some point. We don’t seem to get any “bonus,” like enabling increased use of renewable aviation fuels, even though the airport is more costly than originally proposed. Thanks, Bill. With your City Hall background, you should call Pat Klein at the Aviatiion Dept. and prod him on that. I don’t think this is a bait-and-switch problem … it’s a demand problem. At core, this idea is too popular with the airlines to allow reasonable planning. Each plan will be too modest for likely demand, but the actual demand is too risky to bank on. The risk of underbuilding or overbuilding is paralyzing.